What could be better than a bunch of kids (maybe wearing crowns?) following the star to find Baby Jesus. 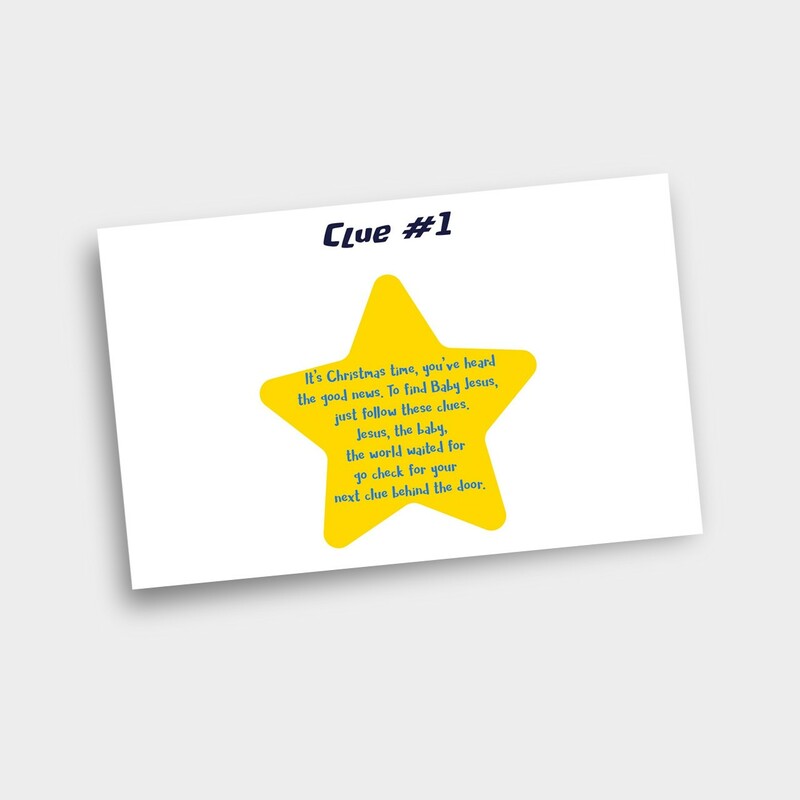 Print and cut out the clues then hide them around the room (according to the clues). Wrap a baby doll up like a present to use as Baby Jesus at the end of the hunt. Help your kids follow the clues to Baby Jesus. This activity can be used at home or in a Sunday School or group setting. Enjoy! To download this resource, simply enter your email address below and click the Download button.